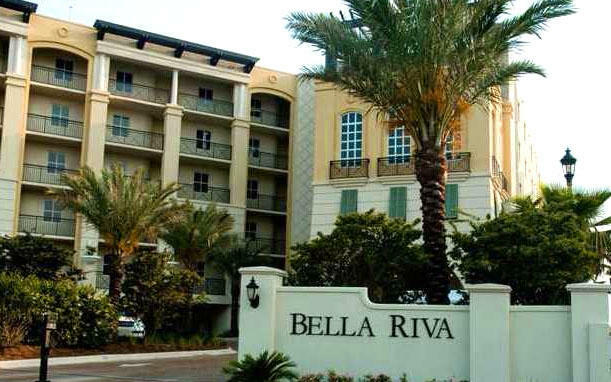 Bella Riva is the Direct Gulf Front Luxury building on the west end of Okaloosa Island. Gated, this contemporary Mediterranean complex is low denisty with only 45 units that share 400′ of pristine beach. Covered parking, heated pool and trellised hot tub, gated beach access, sunshine and gulf breezes! Listed by: Coast To Coast Property Broker.